Anyone who runs a blog will doubtless be aware that the most important part, aside from constantly updating, is to make sure you drive business to your blog. Attracting blog traffic is actually more of a challenge than you might think because the market is so competitive. What is going to make a potential customer choose your blog over another? Well, this is where the tricks of the trade come into play when trying to drive blog traffic, and you need to make note of them! Your blog is your bread and butter, and you have to make sure you look after it and nurture it. Without customers, it’s difficult to see where you are going to get the business from – so this stuff matters guys! If you are serious about driving traffic to your blog, you’ve certainly come to the right place. You need to follow the wonderful advice on this blog to help you improve and increase the traffic to your blog as much as possible. Here are some of the best ways of helping yourself achieve this, and putting your blog centre stage. The most important thing to remember is that your blog needs to be able to evolve. The internet in 2018 is not the same as the internet in 1998. Times change, and expectations change, and your blog needs to move with the times. There is nothing worse for potential clients than an outdated blog, and you need to make sure you never fall into this trap. Always keep your blog evolving, and consider a revamp every year or two to keep things fresh and interesting. This is one of the key ways of attracting attention, and bringing more clients to your business. The next thing to think about is the fact that you need to have stunning content. Too many blogs fall down because of amateurish writing, or outdated and boring copy. Your content needs to sizzle, pop, and bounce off the screen. People should read your copy and instantly be attracted and enamoured with your blog. It’s so important that you focus on making your content the best it possibly can. This may even involve hiring freelance writers to craft the bespoke content your site is crying out for if you can’t provide it yourself. Don’t overlook how important it is to get this part of your blog absolutely spot on, it will attract all the right people. In this day and age, the one thing that is going to make you stand out is being unique and original. Too many people and businesses are trying to copy everyone else these days, and this is really noticeable. So, you need to attract visitors to your blog by making sure you are as unique as possible. This could be anything from design or colour, to content or mission statement. Doing things differently and going your own way inspires people and makes them interested in your brand. Being unique is so crucial if you want to achieve market share, so never be afraid to inject your own personality into proceedings. The zeitgeist, or ‘spirit of the times’ is something that needs to permeate throughout your brand. You have to be a name people associate with being modern, fresh, and interesting. Observe current trends, and the way society is changing, and try to accommodate these things into your business. Your blog can do so much to tell people about you and your business, but it can also showcase your ideals and what is important to you as a blogger and business owner. SEO and keyword integration are absolutely essential for helping drive business traffic to your blog. You will be able to make your blog rank highly in search engines through clever use of keywords, and this will really help to give you more staying power. Making people interested in your blog is part of the battle, and you have to make sure you can do this in a naturalistic and effective way. Again, this links back to the content your blog presents, and it might be worth bringing writers on board to help you with this. 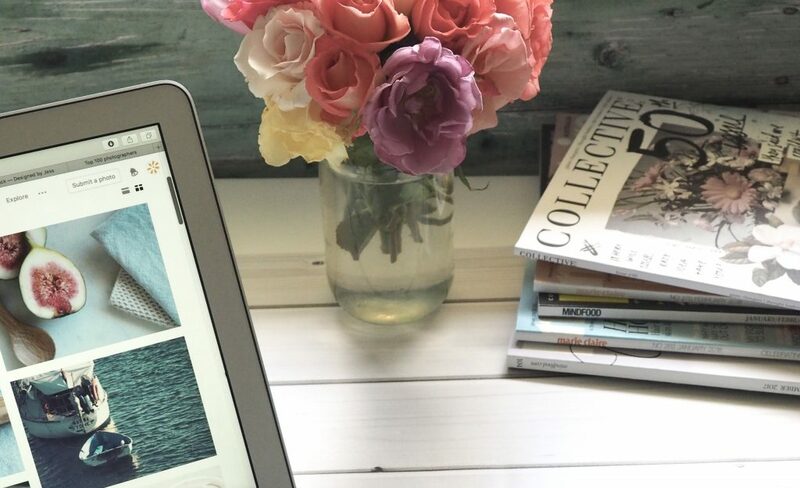 Did you know, studies have proven that the use of photos within blogs actually boosts readership significantly? There are so many great reasons to include photos, but surely this is the main one? A photo can make your blog post much more visually appealing, as well as allowing you to link keywords to it as well. Of course, you’ll need to adhere to copyright laws, but, where possible you need to try to make sure you include photos as much as possible. You might have only just started generating a lot of interest in your blog, and its content. Now is the time to start promoting older content, and getting some hits for that as well. You can do this via Facebook, or by retweeting the content, but you need to make sure you promote it. This will catch the interest of people who have enjoyed the more recent content on your blog, and will give them more of a reason to go back and find out more. Also, not everyone is on social media at the same time, so you have to make sure you aren’t missing potential clients. By retweeting your content at different times throughout the year, you increase readership, as well as drive blog traffic. Running a blog is not the sort of thing that allows you to take a back seat – shrinking violets need not apply. If you are going to run a blog you have to be dedicated and start taking it seriously as much as possible. Trying to generate interest, and drive blog traffic is vital to help keep the blog running, and to promote your business. So, you need to make sure you follow the ideas on this post to help you generate more interest, and drive blog traffic.